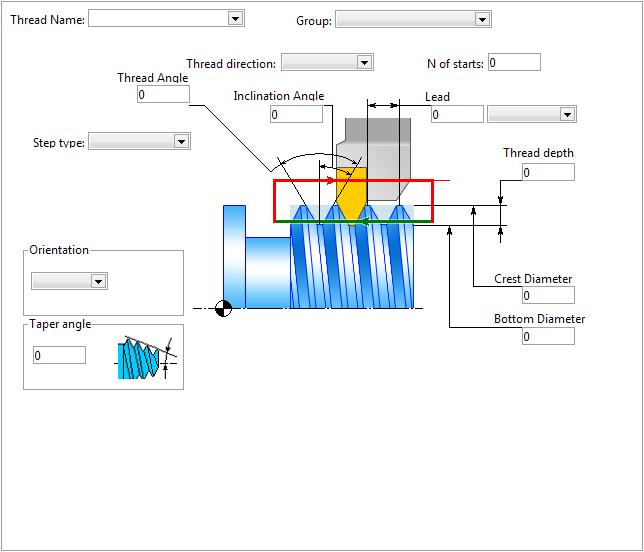 The section allow define deferent thread types. Thread parameters definition window is show below. Window is fully similarly to the window from the lathe theading operations.